China planted alkali-resistant “sea rice” in five different types of saline-alkaline soil in Xinjiang Uyghur Autonomous Region, Heilongjiang, Zhejiang, and Shandong provinces, and in secondary salinized land in Yanan, Shaanxi province on May 28, cctv.com reported. 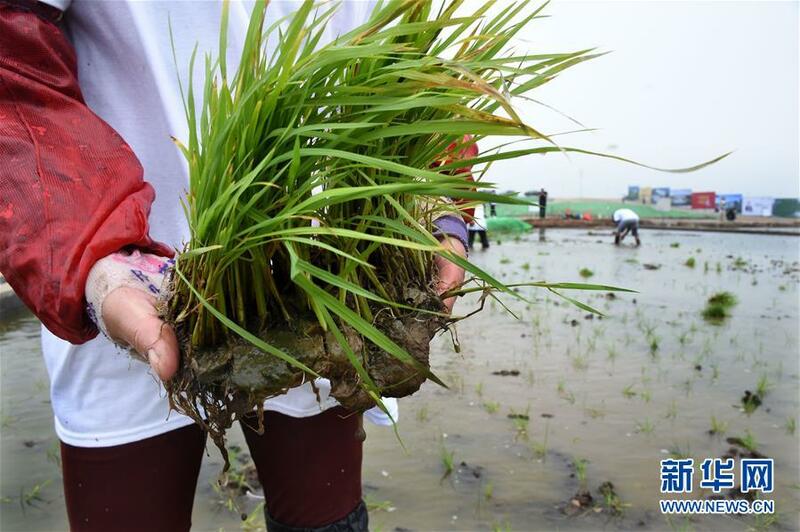 A staff member shows sea rice seedling in Qingdao, Shandong on May 28. In an effort to convert saline-alkaline soil into arable land, sea rice has so far been trial planted on such soil across the country. About 100 million mu (6.67 million hectares) of sea rice is expected to be planted across the country by 2019, said Zhang Guodong, deputy director of the Qingdao Sea Rice Research and Development Center. Zhang said the first types of rice have passed national standard authority tests, believing that the goal of turning hectares of saline-alkaline soil into arable land is achievable. “Sea rice” was developed by Yuan Longping, China’s “father of hybrid rice”. Yuan hopes to step up research and development of sea rice and convert more saline-alkaline soil into arable land. 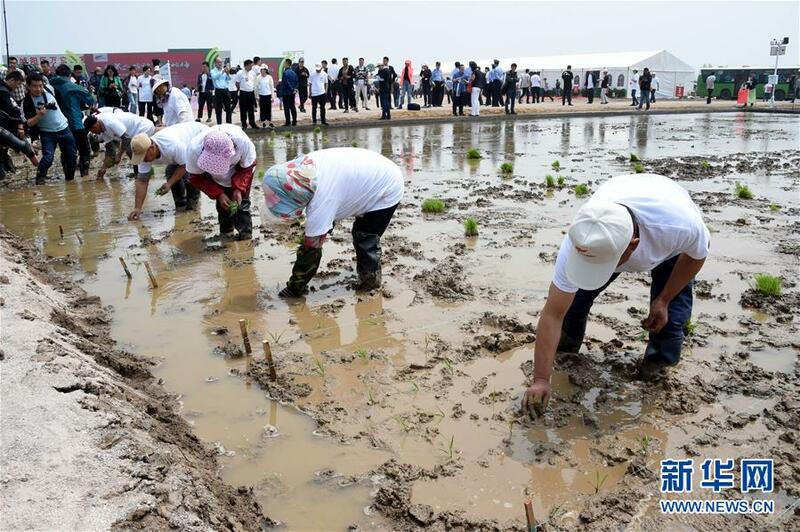 Staff members plant sea rice in Qingdao, Shandong province on May 28. He is working to lift the yield of sea rice per mu of suitable land to 700 kilograms. China has 1.5 billion mu of saline-alkaline soil, of which 200 million mu are likely to be converted into arable land by growing sea rice.